TMS CAD Autodesk BIM in Scotland: Here is a quick peek at some of the new features in AutoCAD 2016. Here is a quick peek at some of the new features in AutoCAD 2016. 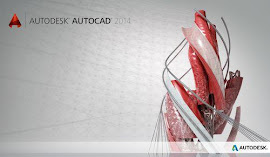 Autodesk has just released AutoCAD 2016, the 30th release of the world’s most popular CAD program. The new release includes scores of new features that accelerate the 2D and 3D design process while also improving the overall on-screen experience. Autodesk continues to make improvements to the user interface. The New Tab, introduced in the last release, was renamed. It is now called the Start tab. While its appearance is largely the same it is visible all the time as one of the drawing file tabs across the top of the drawing area. That way, you can easily return to this tab at any time with a single click. There are also a host of other UI enhancements. For example, the Help system’s UI finder animated arrow now identifies tools within the Status bar as well as the ribbon and points to the Customization button if a Status button is not currently displayed. And although not actually a new feature, the LockUI control is now available in the Status bar, making the ability for users to lock and unlock tool palettes and ribbon panels much more easily accessible. Perhaps the biggest news in AutoCAD 2016 are improvements to the program’s dimensioning commands. Rather than having to choose from among nearly a dozen different tools to add linear, radial, angular, baseline, or ordinate dimensions, AutoCAD 2016 now provides a single DIM command that intelligently predicts the type of dimension you want to create when you move the cursor over existing geometry. For example, when you move the cursor over a linear object, you see a preview of the appropriate horizontal, vertical, or aligned dimension. Move the cursor over an arc, and AutoCAD 2016 shows a radius dimension. Move it over a circle and you see a diameter dimension. A new tool on the ribbon enables you to control the layer on which dimensions are created, much the same as specifying a layer for hatch patterns. And if you attempt to place a dimension that overlaps another dimension, a cursor menu offers options to automatically move, break up, or replace the existing dimension.